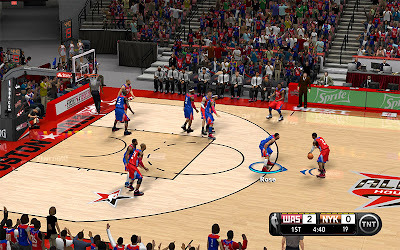 Description: This patch for NBA 2K13 updates the All-Star Weekend 2013 court. - Realistic sideline sponsors for both courts. - Updated the stadium to match the 2013 design. - Enhanced logos & 3D structures. Note: Use the NBA 2K13 trainer to unlock the All-star teams in NBA 2K13 PC.